Marc S. Micozzi, M.D. , Ph.D. In his 40-year career, physician, medical anthropologist and epidemiologist Marc S. Micozzi M.D., Ph.D., has accomplished something no other physician has been able to achieve. He thrust the STAGGERING PROOF of complementary alternative therapies in the faces of mainstream medicine AND DEMANDED ANSWERS. In fact, some of the world’s most recognized natural research--on things like lycopene, lutein, brassica vegetables, and excess iron--would not even exist without his courage to stand up for true science. His medical career is all but unrivaled—especially given his vast and unique mixture of experience within mainstream medicine and complementary and alternative medicine (CAM). 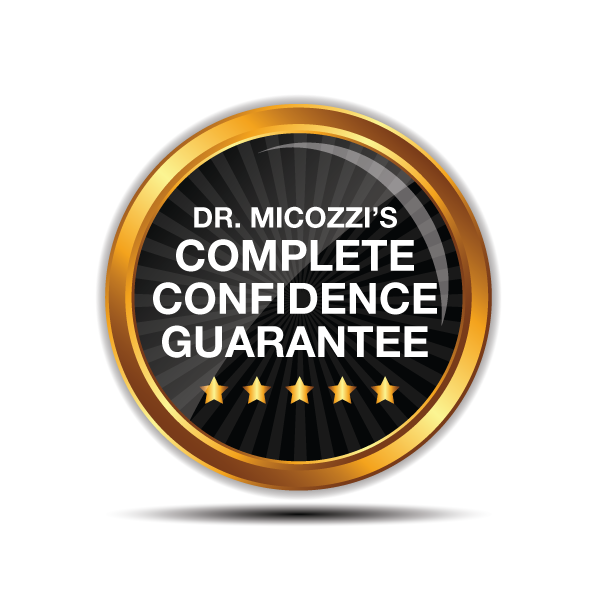 Dr. Micozzi was the founding editor-in-chief of the first US journal in Complementary and Alternative Medicine and organized and edited the first US textbook in the field, Fundamentals of Complementary & Integrative Medicine in 1996. He has published nearly 300 articles in medical literature and is the author or editor of over 25 books. His experience made him the obvious choice to organize and chair continuing education conferences on the theory and practice of CAM and has even co-chaired with former Surgeon General C. Everett Koop (whom he has collaborated with in different fashions for nearly 25 years) in 1996 and Dr. Dean Ornish in 1998. He’s also one of the most effective spokesmen for CAM, contributing to the New York Times, Washington Post, Miami Herald, Chicago Tribune as well as NPR, Good Morning America, and CBS Evening News. As the Senior Investigator of cancer prevention at the National Cancer Institute, Dr. Micozzi published the original research on diet, nutrition, and chronic disease. He continued this line of research as the Associate Director of the Armed Forces Institute of Pathology and Director of the National Museum of Health and Medicine. He has served as the Executive Director of the College of Physicians of Philadelphia (the same state where he completed medical and graduate training at the University of Pennsylvania). In recent years, Dr. Micozzi has served as the Founding Director of the Policy Institute for Integrative Medicine in Bethesda, MD, working to educate policy makers, the health professions, and the general public about the opportunities for integrative medicine and the need for clean, clear science within our modern medical establishment. 1992-1995 Distinguished Scientist, American Registry of Pathology, Inc.